Garryduff Sports Centre is well-known throughout Cork as a hive of activity and community life. 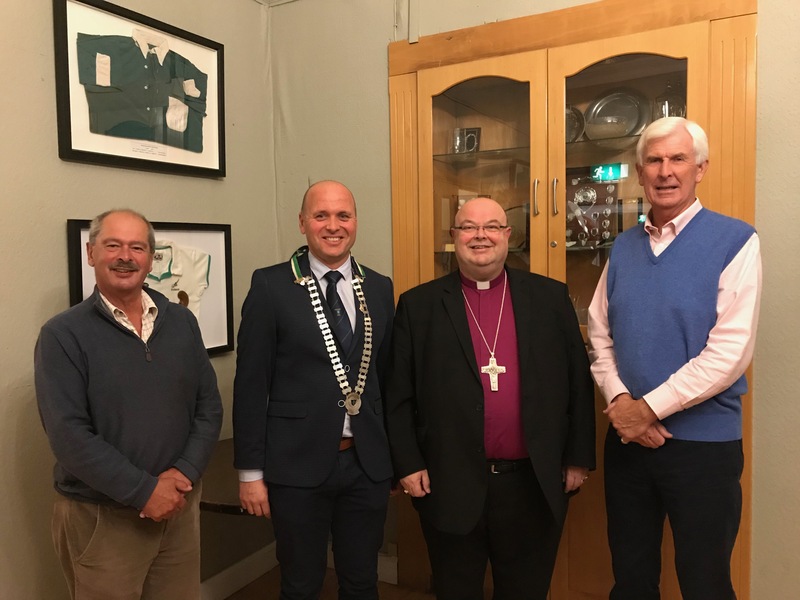 A Cork home for hockey, badminton, tennis, bowls (indoor and outdoor), pitch and putt, as well as the clubhouse and children’s sports camps, the Club held its AGM and elections earlier this week. Mr Trevor Dunne was re-elected as President of the Club for the coming year. 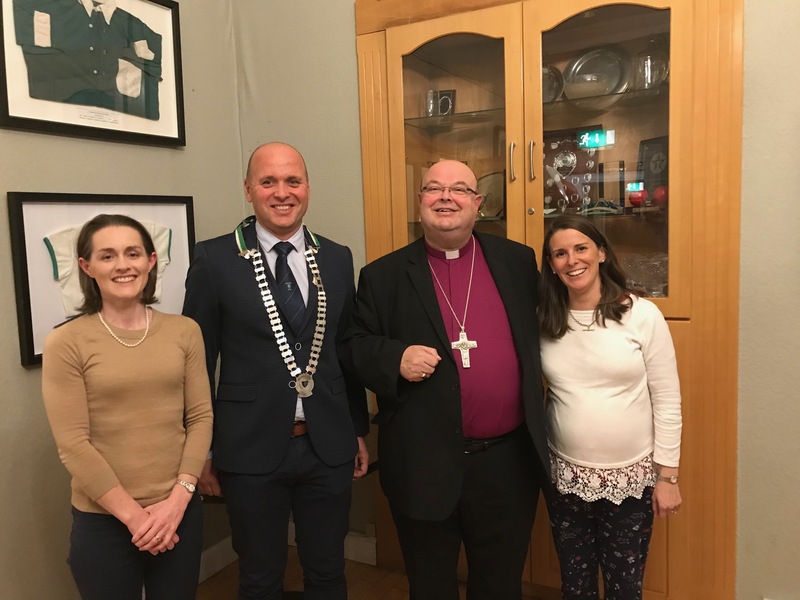 The Club is owned by a body with the acronym ICICYMA – Incorporated Church of Ireland Cork Young Men’s Association – of which the patron is the Church of Ireland Bishop of Cork, Dr Paul Colton. Following this year’s elections were (l-r) John Jermyn (Trustee), Trevor Dunne (President), Dr Paul Colton (Patron) and Roger Flack (Trustee). The third club Trustee is Sybil Fuller. Founded in the 19th Century and based at the Gregg Hall on the South Mall, the club relocated to Garryduff in 1969. Today the Club is thriving and the facilities are in use all the time with membership – people from all backgrounds and sporting interests – drawn from throughout Cork City and County and beyond. 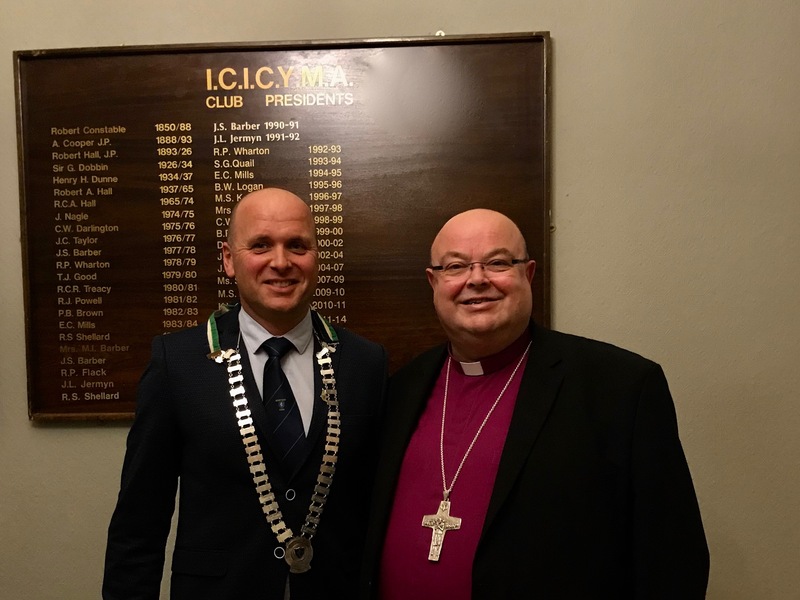 Trevor Dunne, President, and Bishop Paul Colton, Patron, of ICICYMA, Garryduff Sports Centre. 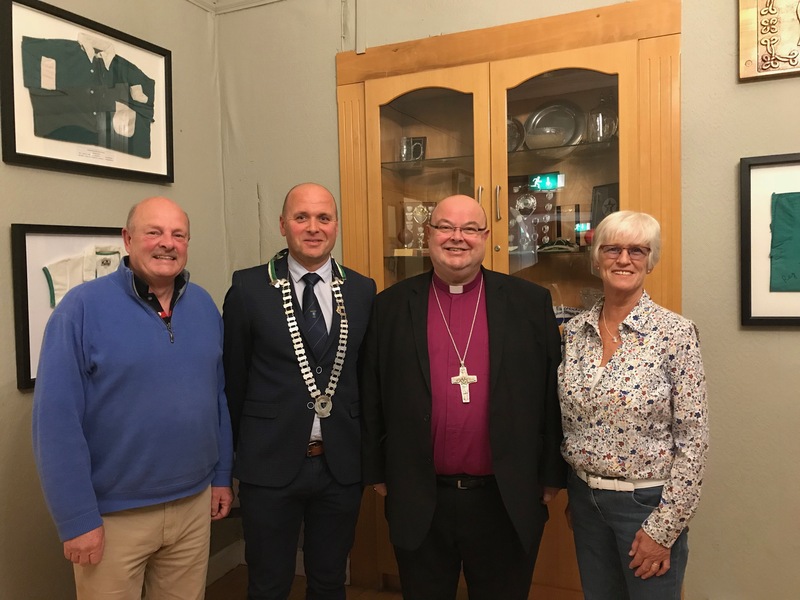 This entry was posted in Church in Society, Church of Ireland Hockey Club, Community Involvement, Garryduff Sports Centre, ICICYMA, People from Cork, People from the Diocese, Sport. Bookmark the permalink.